The trail runs along the Paulins Kill river and is the sixth longest trail in the state at 27 miles. Trail Points (Sussex County): Sunset Inn Road, Sparta Junction to Cedar Ridge Road, Stillwater Township. Trail Length (Sussex County): Approximately 27 miles. Facilities: Multiple parking areas along trail. Restrooms located at various trail heads. Portions of trail are wheelchair accessible. Main Parking Area is at Warbasse Junction. 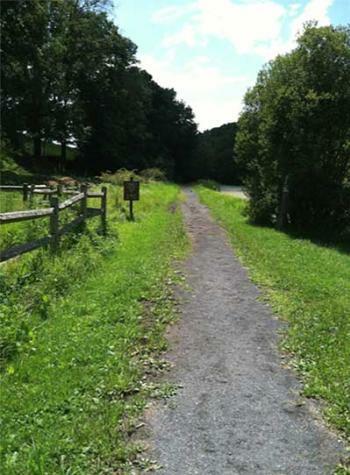 Please see the Sussex Skylands Trail Map for other parking areas along the trail.